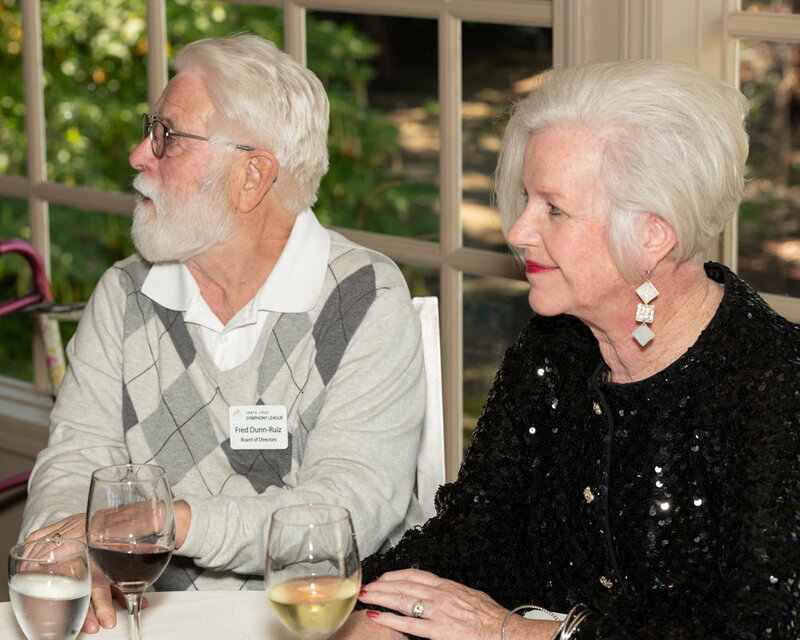 Stay up-to-date with all the happenings of the Symphony League with our blog, Musical Notes -- the parties, the previews, the concerts, and our annual Gala! Scroll down for featured articles, and enter your email below if you wish to subscribe. The Preview for “Invocations” at the Back Nine was a great success, with more than sixty guests in attendance, including Maestro Daniel Stewart and our four wonderful soloists for the Concert. Our very-capable volunteer photographer, Kevin Monahan, mingled with our guests and clicked away on his camera, resulting in wonderful photographs for us to share with you below. Please join us for more Previews in the new symphony season of 2019~2020, to be announced during Saturday and Sunday’s concerts. Sign up with your email address to receive Santa Cruz Symphony League news and updates. Copyright 2019, the Symphony League of Santa Cruz County, DBA the Santa Cruz Symphony League. The Santa Cruz Symphony League is a 501(c)3 nonprofit organization dedicated to fundraising and community-building to benefit the Santa Cruz Symphony Association.